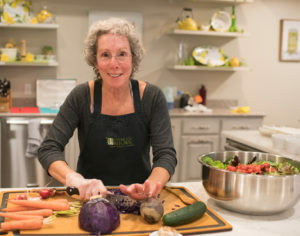 I was pleasantly intrigued to receive an email from the manager of a restaurant, at which I eat fairly often and enjoy very much, to review the menu with him and the chef, to support their intention of serving healthful, delicious meals that cater to a variety of food preferences. This was on my mind as I tuned in to NPR this morning and caught a wonderful story about Meatless Monday. Check out that link! On my mind too, was the recent headline that 1 MILLION pounds of beef has been recalled for E. Coli contamination. How is real food showing up in your life?